Forget the hastle of traditional sign companies! At SpeedySignsUSA we make ordering and receiving your Judge banners a breeze! 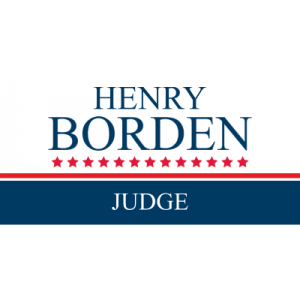 Your campaign for Judge could last a while! To make sure your banner stands the test of time we use only the best materials. To increase your signs life span even more, we offer Procteion Plus. With SpeedySignsUSA you can trust that your signs will be able to last and look good throughout your entire campaign.